Let me be the first to say that I'm surprised that I like this album as much as I do. I first saw Frank Ocean on the cover of Fader, but ever since Fader had Nicki Minaj on their cover for the first time, they've been dead to me. I never jumped on the Odd Future bandwagon, but one track I didn't delete from Goblin was Yonkers. 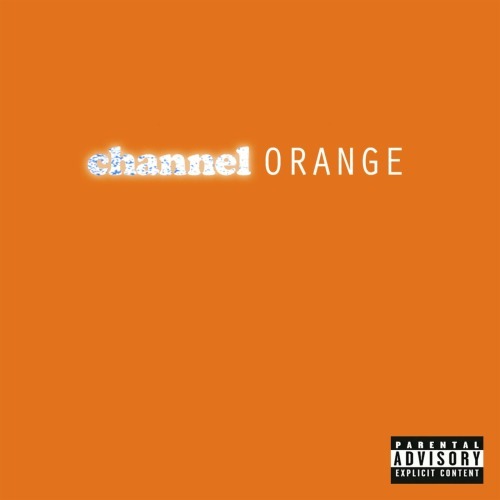 Frank Ocean put together a really strong album with Channel Orange. It's darker, deeper and more moody than most R&B albums and it also helps that he worked with well respected musicians like Pharrell Williams, John Mayer and Andre 3000. I put it out there on Facebook that the quality of his voice and some of his melodies reminds me of Musiq Soulchild. Ocean is a little more free form than Musiq though and Musiq Soulchild would take some of the risks Frank Ocean does on this album. The songs that stand out to me are Lost, Forrest Gump, Crack Rock and a cover of Thinking About You. The cover of this song is so good that it actually makes me like Frank Ocean's version more.